A very wise flooring manufacturer once said, "If you keep doin' what you've been doin', you'll keep gettin' what you've been gettin' ". Brownett Consulting recognizes that business managers can sometimes get so wrapped up in the complexities of their daily routines, that they may lose sight of simple opportunities to improve their businesses. Brownett Consulting offers a fresh, knowledge based perspective to help you stop "... gettin' what you've been gettin' " and start gettin' more! Brownett Consulting specializes in organizational development, B2B and B2C sales and marketing strategy, product development, web tactics, recruiting and training, service excellence, logistics, installation & technical support and M&A arrangements. The firm's services are tailored to your business, your challenges and your people. Our objective is to get your business "going and growing". Our work produces tangible, bottom line results. We use the fundamental framework of your existing business model to cultivate the products, strategies and behaviors necessary for success in today's challenging, market driven business environment. Brownett Consulting will not accept an assignment unless it believes that the client will truly gain an advantage. If you are interested in learning more about the growth opportunities that Brownett Consulting can provide for you and your company, give us a call at +1-908-872-0887 or contact us by email at harry@brownettconsulting.com. Chicago IL, Oct 15 2011: Brownett Consutling was invited to exhibit the Starnet Healthcare program at Starnet's Fall Meeting at the Sheraton Hotel and Towers downtown. The event provided Starnet Members with valuable knowledge and ideas they will take back home and use to successfully operate their flooring businesses. The vendor partner trade show event was very well attended and over 30 Starnet Member organizations signed for the Starnet Healthcare Program. Branchburg NJ, Oct. 1, 2011: InterfaceFlor's Computer Grade carpet tile program has new has new life after Brownett Consulting worked alongside Interface's sales management and marketing pros to refresh and reintroduce the company's longstanding ESD carpet tile technology and marketing. The new line includes computer grade versions of Interface's classic "Cubic ESD". It also adds newly intoduced patterns and colors in "Furrows II ESD" and "Chenille Warp ESD" which are non-directional patterns, a new concept in ESD carpet tile design. InterfaceFloor will introduce this new product line to its national accounts as a value added feature designed to protect against computer systems damage or disruptions and data loss or corruption. All of InterfaceFlor's ESD carpet tiles meet the standards set by the ESD Association for static control. Brownett Consulting is experienced working with manufacturers of all types of ESD floor coverings including ESD vinyl tile and sheet, ESD rubber tile and sheet, ESD capet tile. adhesiev-free interlocking ESD floors and ESD epoxies. The company specializes in ESD flooring sales and marketing. Branchburg, NJ, January 14, 2011: Based on the Starnet Membership’s response to a live presentation by Harry Brownett of Brownett Consulting during its recent Fall Membership Meeting and a follow-up webinar in December 2010, the Starnet Board has authorized the creation of “Starnet Healthcare.” This 2011 marketing initiative is a unique approach to enable Starnet Members to capture a larger share of the healthcare market for commercial flooring. Central to this plan is Starnet joining The American Academy of Healthcare Designers (AAHID). Starnet is pleased to announce that it has been accepted by AAHID and is now recognized as a “Platinum Level Service Partner” of the organization. The process of training and testing is comprehensive and valid. Brownett Consulting will conduct training and testing on behalf of Starnet and the AAHID. Qualified candidates who enroll in the Starnet Healthcare program will receive preparation materials, participate in web-based learning, and be required to pass a test. Those Members who successfully complete the Starnet Healthcare Certification will differentiate themselves through knowledge and be better prepared as a resource to A&D clients and end-users in the healthcare market. The AAHID will be reviewing and advising on the validity of information as it relates to current, generic health design issues. The program will not be a “design” credential. Starnet Members successfully completing the course will receive certificates that acknowledge that they have completed a comprehensive curriculum on health design that the AAHID recognizes as a meaningful commercial flooring sales training course. AVON, MA, JAN 3, 2011: SelecTech, Inc., manufacturer of Freestyle, Freestyle ESD and other high recycled content modular interlocking floor tiles stated that its sales for the second half of 2010 were up 40% compared to the same period in 2009. Tom Ricciardelli, President of SelecTech says, "Brownett Consulting has definitely helped our sales growth." SelecTech, Inc. has been a Brownett Consulting client since July 2010. Las Vegas, NV, NOV 14, 2010: During the organization's annual breakfast meeting at the 2010 Healthcare Design Conference in Las Vegas, Jocelyn Stroupe, Board President of The American Academy of Healthcare Interior Designers, (AAHID), presented a "Freind of the AAHID" recognition award to Harry Brownett, President of Brownett Consulting. Ms. Stroupe cited Mr. Brownett's years of dedicated support for the organization as the basis for the award. Harry Brownett has been activley supporting the AAHID since it's inception in 2005. Branchburg, NJ November 2, 2010 --Parterre Flooring has retained Brownett Consulting to perform a compensation analysis to confirm they are meeting the prevailing compensation, bonus and benefit programs in their search for a new regional sales manager. Watertown, MA, Oct 4, 2010 --- Staticworx Inc., a North American producer of static-free flooring, said it has been named to the Inc. Magazine 500/5000 list of the fastest-growing privately held companies in the U.S.
Staticworx was also named by the Boston Business Journal as being the third fastest growing company in MA. Branchburg, NJ, July 1, 2010 - Selectech, Inc., headquartered in Avon, MA has retained Brownett Consulting to work with its commercial sales division in an effort to increase sales in 2010 and 2011. Brownett Consulting will review existing product designs, marketing plans and sales networks with an eye toward building new business successes from existing market strengths. 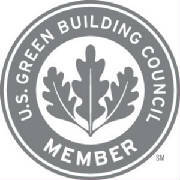 Manufactured in the USA, with over 70% post-consumer recycled content and some of the best available adhesive-free VOC performance, Selectech's modular flooring products offer excellent LEED™ value, including coveted Regional and Inovation category values. During the next six months, Selectech will implement a strategy designed to promote the unique environmental values and cost-effective qualities of its freelay modular flooring systems, Freestyle™ and Selectile™. Brownett Consulting will also work to grow Selectech's business relationships with Starnet™ dealers. Selectch is now a vendor partner in Starnet™. May 2010 - New York, NY: Brownett Consulting sucessfully fulfilled a a request by an investment -minded, international sales company headquartered in New York, NY to find a product division or manufacturing company that would compliment its growing portfolio of products in the commercial flooring market. Brownett Consulting responded with the recomendation of a small US manufacturer searching for an investor to finance a new patented product technology. The match is a perfect fit - an excellent product and cultural synergy between both companies. For email advice, send your questions, comments or ideas to: harry@brownettconsulting.com. For issues that are of particular interest to the the global flooring community, we may publish (with your permission) your questions along with our answers on this web site.